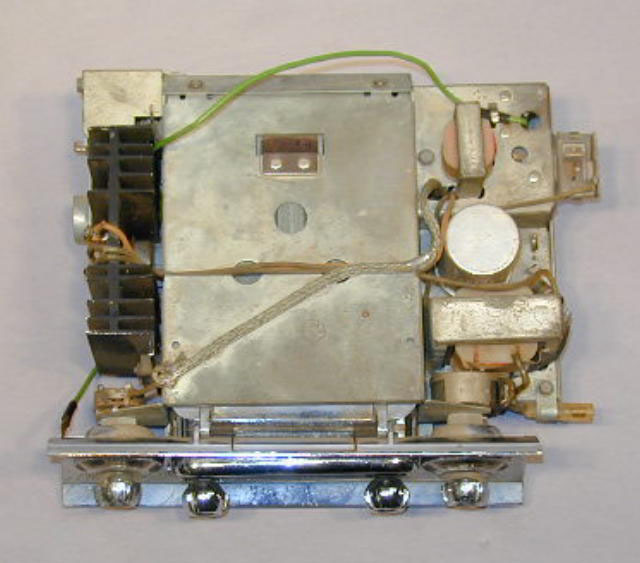 This radio was a joint design effort between TI and Delco and represented the first effort to place a fully transistorized radio in automobiles. 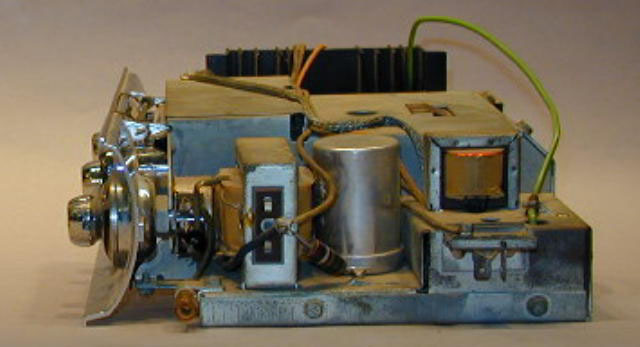 The concept was a radio that could easily be removed to operate as a portable. 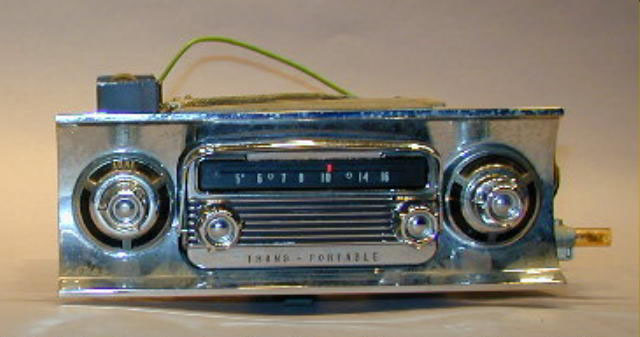 The radio was introduced as an Oldsmobile option. 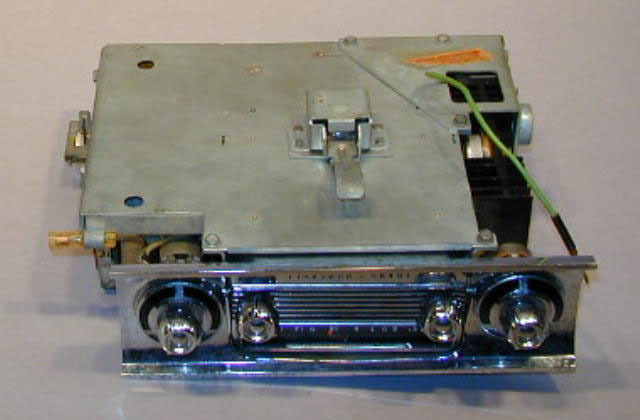 The radio worked well, but it proved to be so easily stolen that it was dropped by GM. 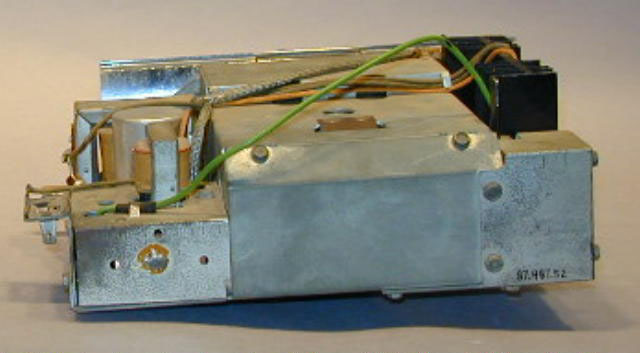 Included is the dashboard mounting unit. 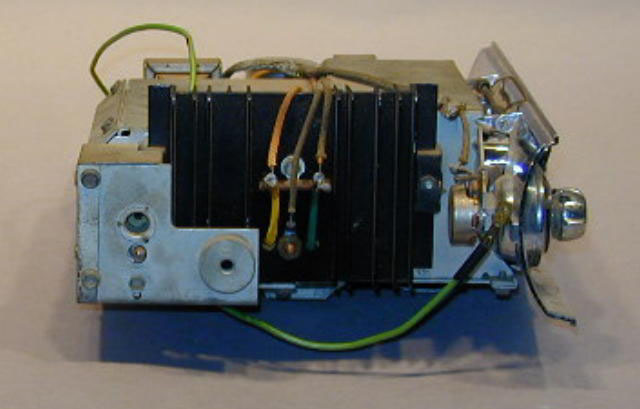 This work was done in 1957-8.